A beautiful gift to body and soul. Drink up! This is a very pleasant green tea, perfect for those occasions when you don’t want anything too complicated: you just want a simple yet tasty green tea. The flavor is light, nutty and a little grassy. It is sweet with hints of a floral tone in the background, and a raw nut flavor (reminding me a bit of raw almonds) is in the foreground. It has a very “spring-like” quality to it, like the fresh, new leaves that appear on the trees as spring arrives, and the clean, crisp air that is lightly kissed with the sweetness of spring’s flowers. The aftertaste is sweet, with a hint of nutty flavor that lingers. While I can’t say that this was my favorite from TeaSpree (my favorite was, surprisingly, the Vanilla Rooibos), I certainly did enjoy this organic offering from TeaSpree. I found it to be a very peaceful, relaxing cuppa, and I would be very happy to drink this one again! Spicy, lavish and decadent, go round the world in a sip. Ingredients: organic black tea, ginger, cinnamon, cardamom, clove and black pepper. This is a delicious yet mild chai. The strongest flavor of this cup is the flavor of the black tea base, and that’s just the way it should be. It is a bold, smooth tasting, organic black tea. While it does provide a strong presence in the cup it doesn’t overwhelm the spices, instead, it works with them to provide a well-rounded, full-bodied flavor. The strongest spice flavor I taste is the ginger, followed closely by the black pepper. Even though these two spices are the strongest spices in the blend, I wouldn’t consider this cup to taste overpoweringly peppery. It has a nice peppery taste, certainly, but I don’t find it to be too strong, and even the meeker tea drinkers out there will probably enjoy this chai. The cinnamon weaves in and out of the sip, and I like how it enlivens the sip with a sweet yet spicy taste. The cloves and cardamom are not particularly strong in this cup, although they do offer a nice background of warmth. Overall, this isn’t the strongest chai that I’ve tasted, but, it is still very good. This is one chai to which I wouldn’t recommend the addition of milk, although I do recommend a drizzle of honey or a sprinkling of turbinado sugar. The milk overpowers the spices here, but the sweetener helps to enhance their delightful complexity. Deep, dark, rich and luscious. Ready for anything. This black tea is really delicious. While the name “black tea” seems rather generic, this cup of tea is anything but ordinary. 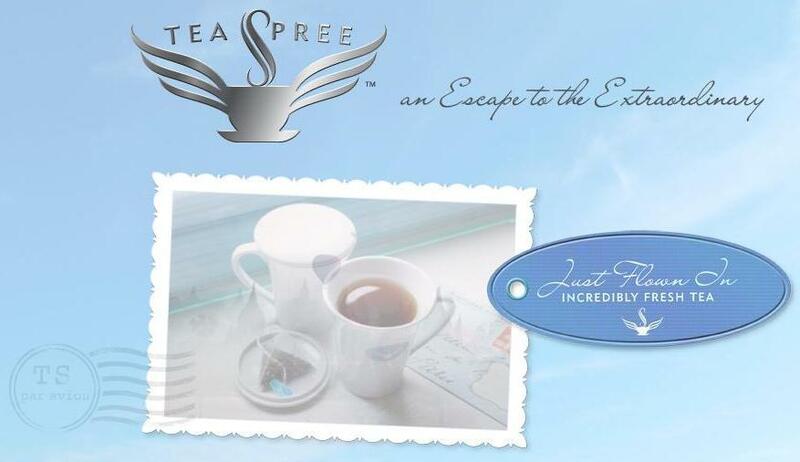 The description from TeaSpree really encompasses the spirit of this tea – this is “deep, dark, rich and delicious”. It has a very strong, stout character. Very robust with a delicious malty quality. It is full-bodied and full of flavor. One thing that is rather distinct about this tea is that it is less astringent than some black teas with these other qualities. There is a faint bitter note to the background – but this isn’t an “I over-steeped the tea” kind of bitterness. It is a savory kind of bitterness that adds interest and intrigue to the cup. I found this tea to be extremely rewarding as that all-important first cup of the day – it is vibrant enough to give me the energy I need to get up and go! And while it is quite good served hot, neat and clean; it also takes milk and honey quite well making this an excellent breakfast tea, or perhaps a pick-me-up for the afternoon. A decidedly sublime sweet, it’s the perfect dessert. Ingredients: Organic Rooibos, Almonds, Solomon’s Seal, and Almond Essential Oil. The aroma of the dry leaf is very pleasant – the nutty-sweet scent of the almonds together with the woodsy note of the rooibos creates a very pleasing fragrance. The brewed liquor smells a bit more of rooibos than it does of almonds, but it is still quite nice. The flavor is surprisingly complex for a rooibos, which I generally would categorize as a thin or light tasting beverage. Here the tisane is a bit richer and even a little thicker on the palate and it presents interesting layers of flavor. This is not at all what I was expecting from this rooibos… a very happy surprise, indeed! I can taste the woodsy note of the rooibos, it’s a little earthy but not overwhelmingly so. The almond flavor is sweet, toasty, and enhances that earthy quality of the rooibos a little bit, making it a deeper, richer taste. I normally don’t like “earthy” flavors but when paired with the sweet, nutty depth of the almond it is not only agreeable but quite tasty. I wasn’t quite sure what Solomon’s Seal was, so I sent off an email to Tea Spree to learn more. They responded promptly and informed me that it is a plant which belongs to the Lily family, and referred me to this website for more information. It seems to be a very valuable and healthy herb, although, as I am quite unfamiliar with it, I can’t tell you how it contributes to the flavor of this particular tisane. A scent that beckons, these delicate flowers woo. Ingredients: Green Tea and Jasmine Flowers. This is such a light and pleasant jasmine green tea! The aroma is delicate yet captivating. It really draws me in to the teacup. The flavor is like the aroma – delicate yet captivating. The green tea base is soft and smooth. It has a fresh taste to it and a barely there vegetative essence. It’s pleasantly sweet, but not too sweet. 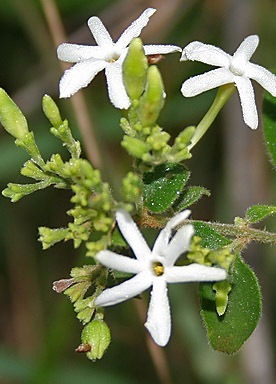 The jasmine is a gentle jasmine. Sometimes jasmine teas can be somewhat sharp in flavor, but, not so here. It is gentle and inspires a sense of tranquility. It has a light floral taste with an accompanying sweetness. I think this tea is best served hot because the delicate nature of the flavor can become quite muted when it chills. It is still quite refreshing when cold, it just tastes better hot. This is one of the most luxurious jasmine teas I’ve encountered. Very nice, indeed!